85218 - Infrared LED Illumination System with Swivel Mount and Power Supply. When used in lieu of standard eyepiece, this Relay Assembly Adapts the Vintage Find-R-Scope Eyepiece mount to a C-mount Camera to provide a Video Output. 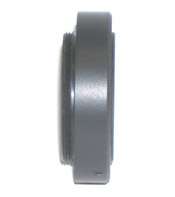 When used in lieu of the standard eyepiece, this "C" Series" Relay Assembly adapts the Find-R-Scope Eyepiece Mount to any C-mount Cameras to provide a Video Output. 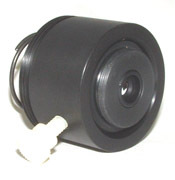 Miniature C-mount cameras such as our model 85291, are most easily adapted. 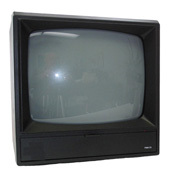 FIND-R-SCOPE Part 85292, 12" 305 mm Black & White Monitor.